“A covert operative of Last Chance Rescue (LCR) Enterprises, Eden St. Claire has made secrets her life’s work. Seven years ago, an evening of emotional vulnerability and pure pleasure almost destroyed her. Now Eden wears her beauty like a mask, concealing any hint of vulnerability or the demons of her past. Meet the courageous men and women of Last Chance Rescue. Highly trained mercenaries with one priority and purpose–to rescue victims. With worldwide connections and a phenomenal success rate, LCR operatives find and rescue victims when all other avenues have been tried and failed. They do whatever it takes, no matter the cost, to rescue the innocent. Fantastic start to a romantic suspense series featuring Last Chance Rescue operatives. 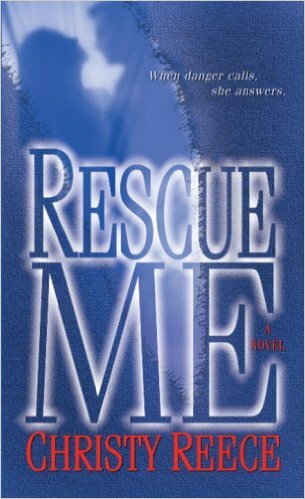 Rescue Me is an exciting romantic suspense story. We are introduced to compelling characters that pull us into the weave of personal pain, love, and the desire to help others. The story of Eden/Devon and Jordan was intriguing. Eden St Claire is the kind of heroine that we have to cheer for. She has class, beauty, smarts, vulnerability, and strength. I was drawn in by the characters, the action, and the suspense. The characters had so much pain and misunderstanding between them from their past and present. I was anxious to see how they would finally get their HEA. I’ve read the entire series (numerous times) and they all are wonderful, but this is still my favorite.